Heat oven to 160C. In a food processor, pulse flour, oats and butter until it forms a breadcrumb texture. Add carrot and mix until it forms a ball. Roll out pastry on a floured surface and line a flan dish or loose-bottomed tart tin. Then chill. Gently fry the onions for about 15-20 mins until beginning to caramelise. 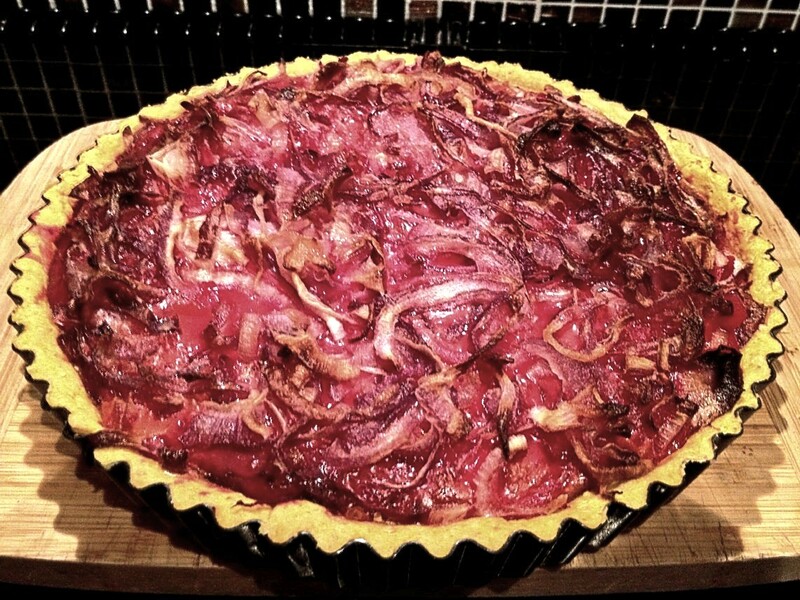 Place the beetroot in the chilled pastry case and cover with the onions. Whisk eggs and milk together, season, and pour over the onions and beetroot. Bake for 50 mins, lowering the temperature to 140C after 15 mins. I loved the carrot pastry and it was so easy in texture to roll out. You can use normal onions rather than red if you prefer. A nice variation is to put some slices of goat’s cheese on top of the onions.